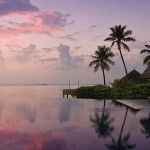 The silky white beaches offer complete tranquility for families and honeymooners. With strikingly beautiful scenery wherever you look, it’s easy to understand why guests choose to return to the paradise of Four Seasons Kuda Huraa over and over again. 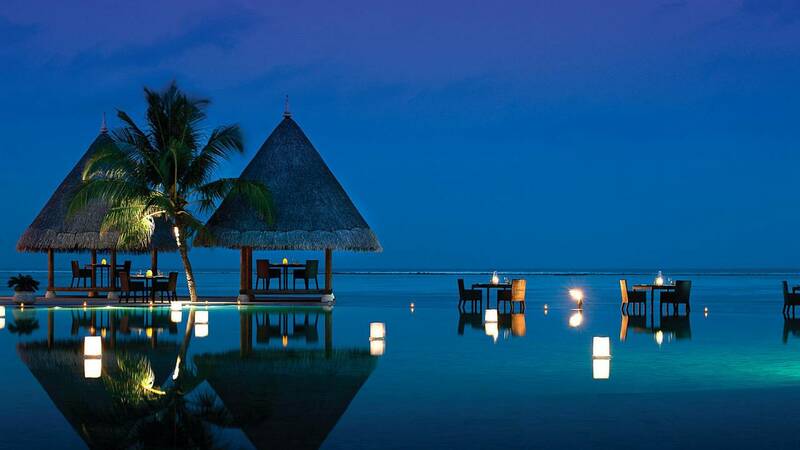 This resort allows you to leave all your everyday stresses behind and simply capture the moment. 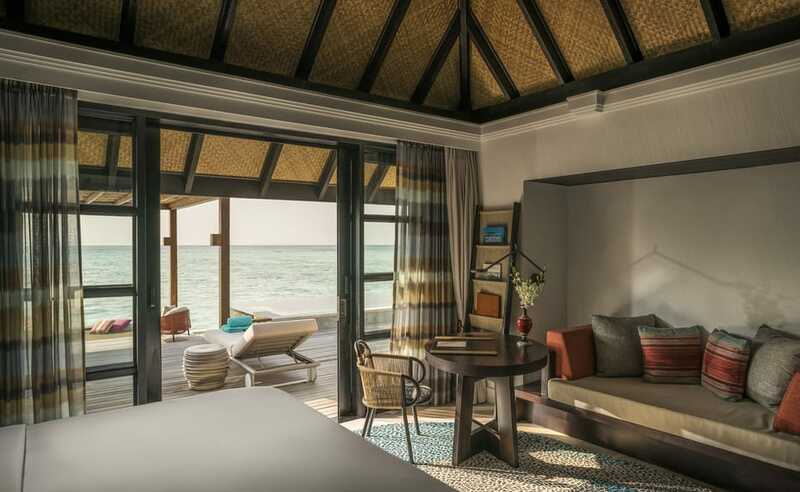 Create unforgettable memories at Four Seasons Kuda Huraa. 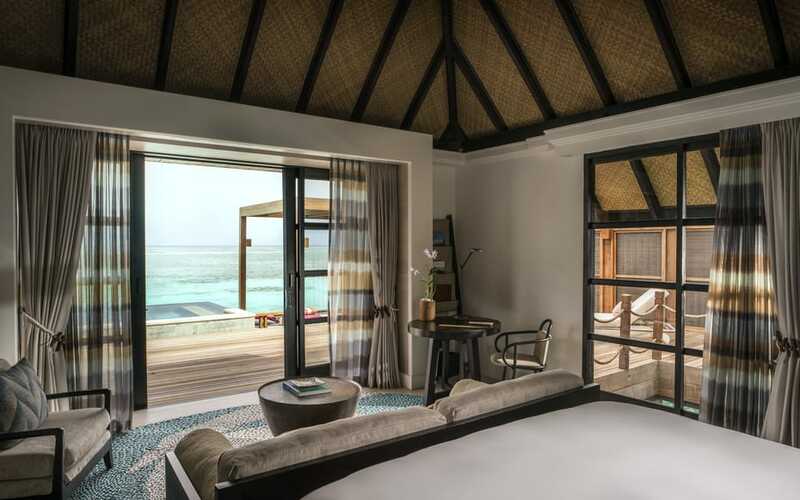 The Sunrise Beach Bungalow with pool (62 sqm) is situated only steps away from the pristine beach and features its own private pool – perfect for cooling off from the warm Maldives sunshine. 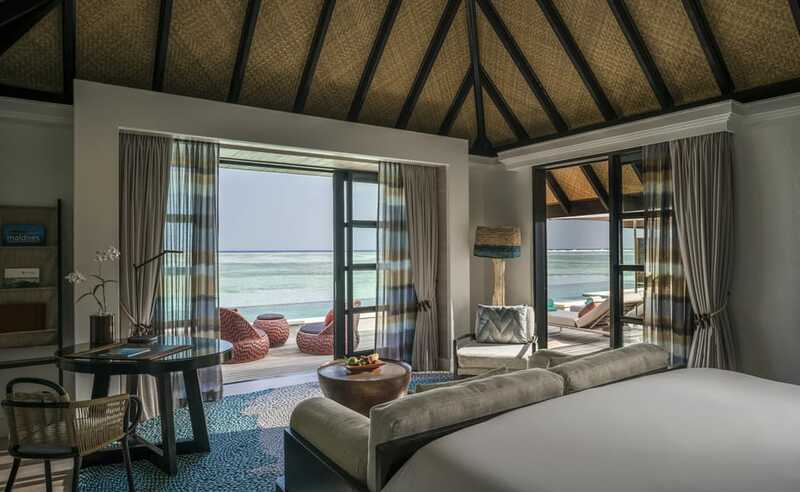 Each Beach bungalow is elegantly designed for maximum comfort. Special touches include a private terrace with a lovely day bed and an outdoor shower. The Beach Pavilion can cater for two adults and one child under 12 years old. 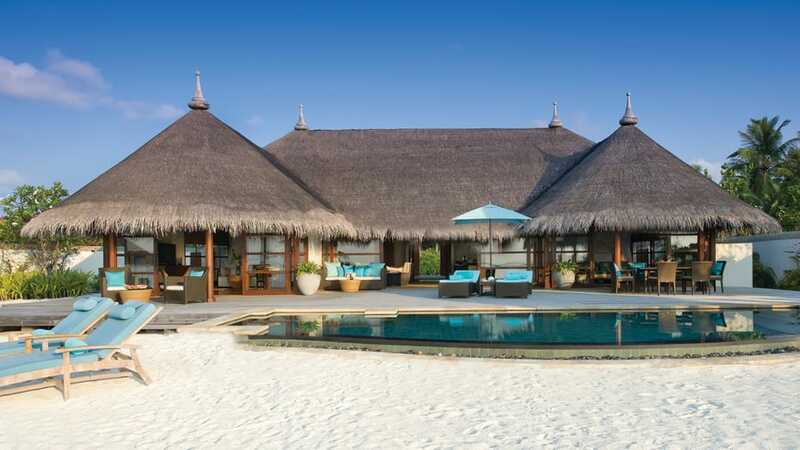 These elegant villas sit perched above the blue waters of the lagoon. 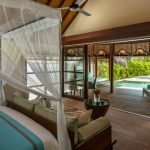 With lazy overwater hammocks and a living and dining pavilion, these villas perfectly combine the outside with the interior. 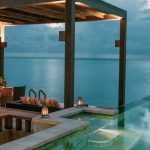 Featuring a private plunge pool and direct lagoon access. 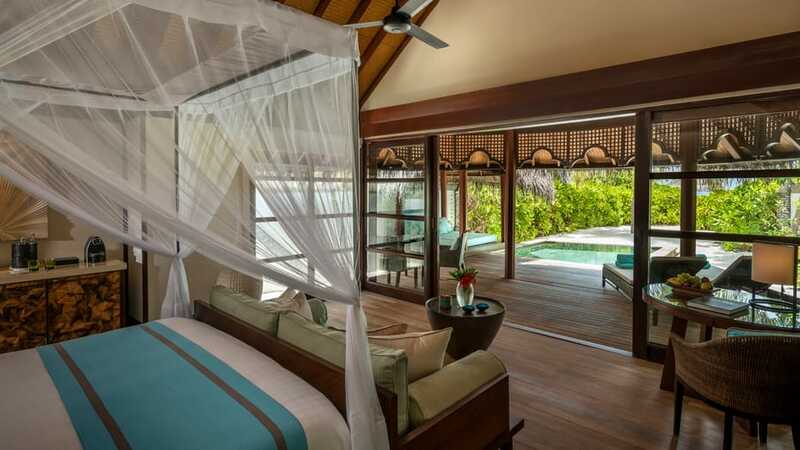 These villas can be occupied by two adults and two children or three adults and one child. 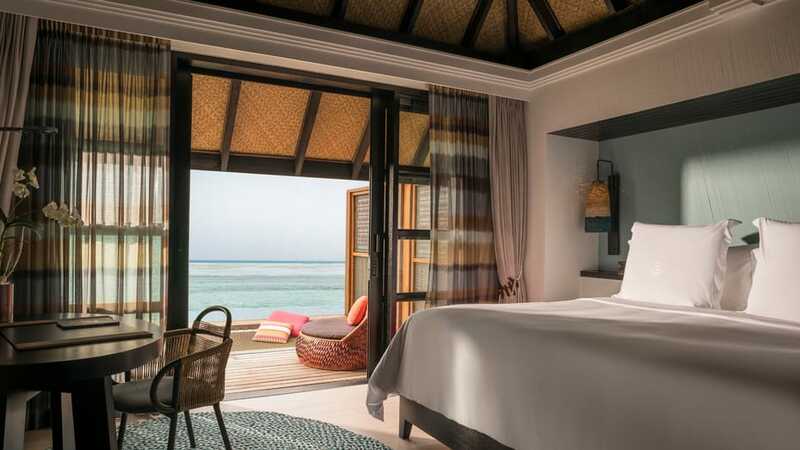 They have ocean, lagoon and sunrise views. 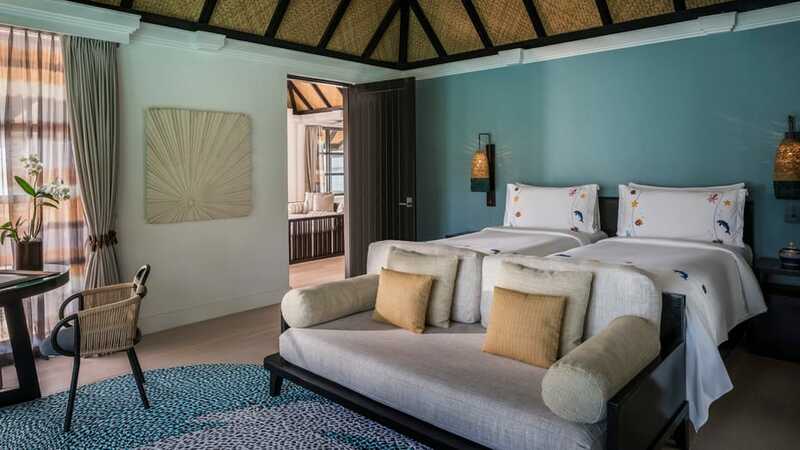 The Sunset Beach Bungalow with pool (62 sqm) is situated only steps away from the pristine beach and features its own private pool – perfect for cooling off from the warm Maldives sunshine. 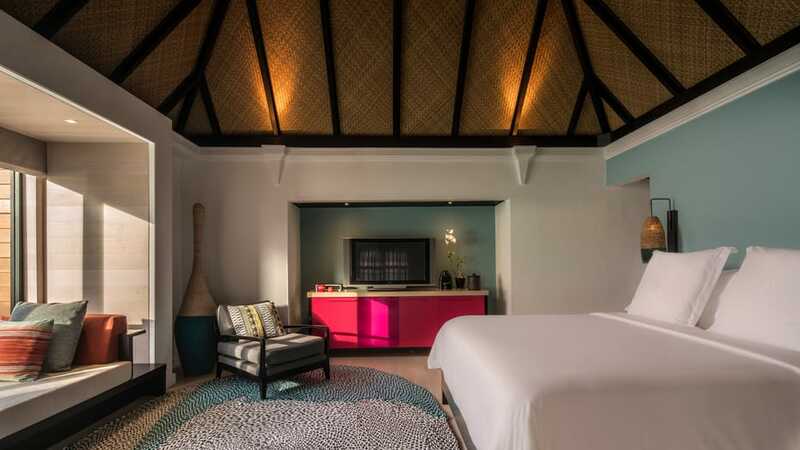 Each Beach bungalow is elegantly designed for maximum comfort. Special touches include a private terrace with a lovely day bed and an outdoor shower. The Beach Pavilion can cater for two adults and one child under 12 years old. 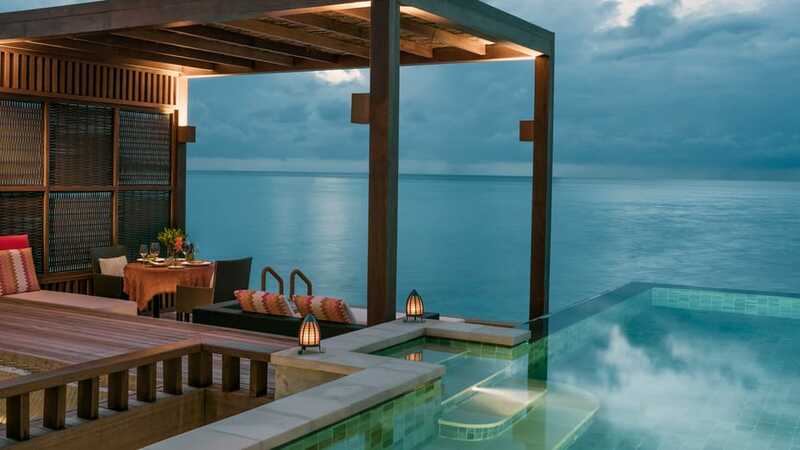 The Beach Pavilion with pool offers perfect views of the ocean from a cosy sanctuary of indoor-outdoor living. 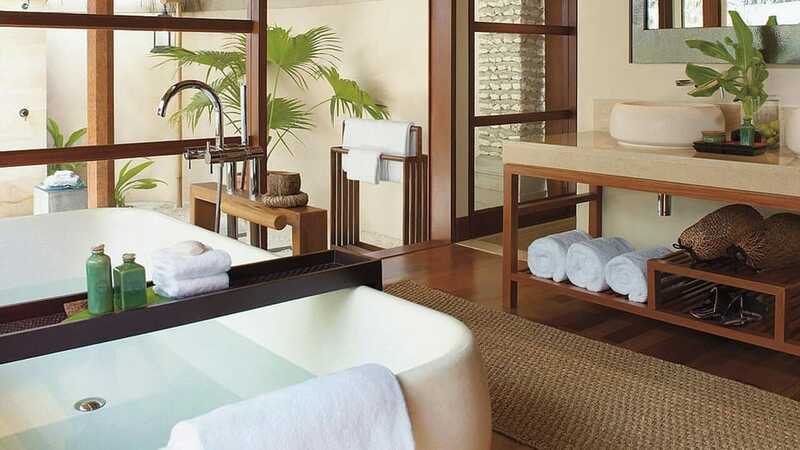 Featuring a private plunge pool, garden, and direct access to the white powder sandy beach. 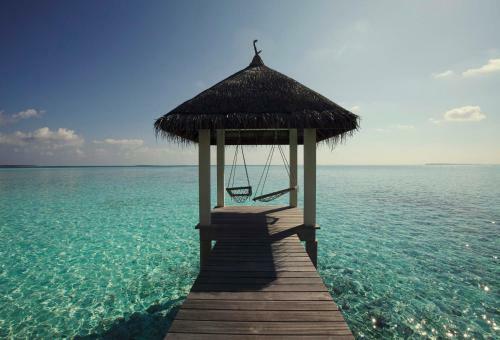 Spend your days lounging under your own gazebo or walking along the sands in paradise. 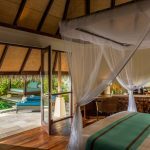 Just steps away from the beach this elegant bungalow features a private plunge pool, sun-kissed deck and a traditional thatched roof with all the space to relax with your family. 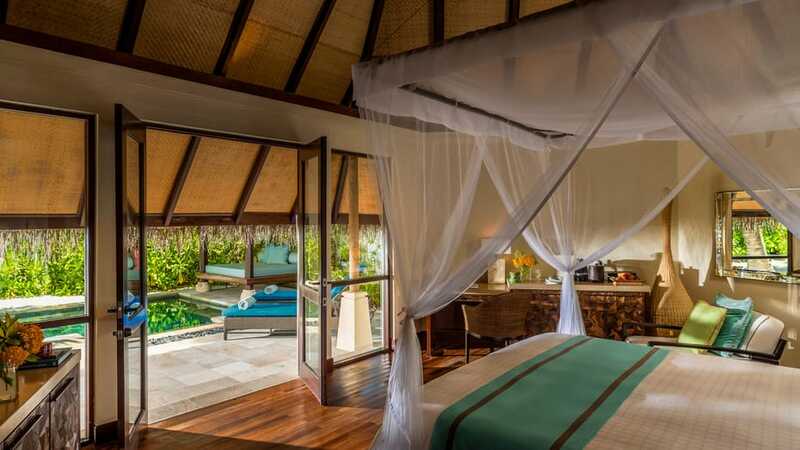 These villas can be occupied by two adults and two children or three adults and one child. 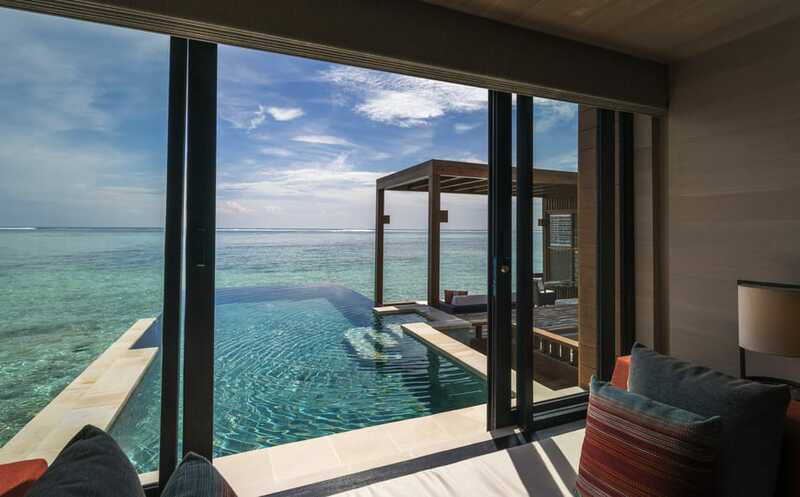 They have ocean, lagoon and sunset views. 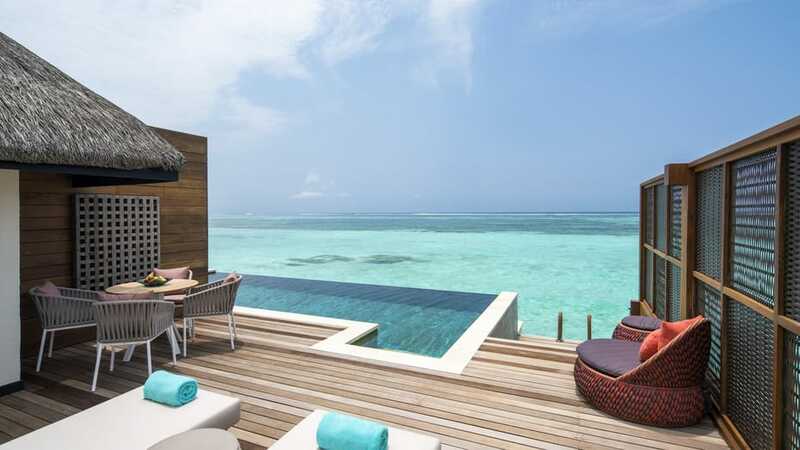 This villa has ample space, ultimate privacy and the glittering blue ocean is at your fingertips. This retreat sits at the end of the timber jetty for a one-of-a-kind tropical haven. 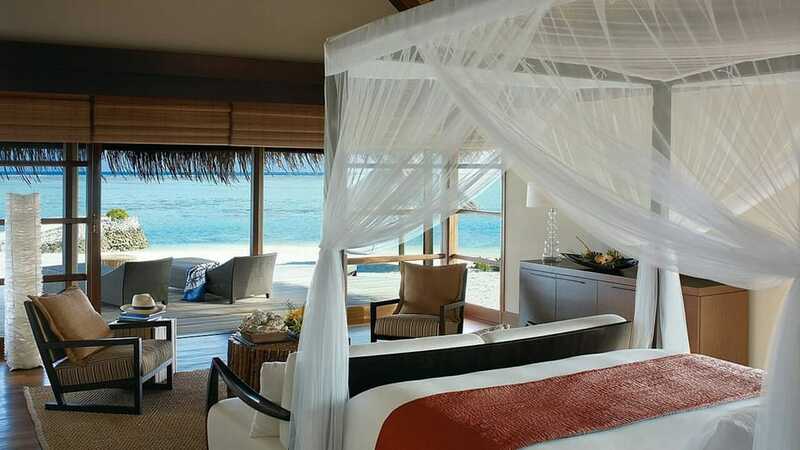 Lounge away in the overwater nets take a dip in your private pool or go for a sunset snorkel in the private lagoon. This is a family paradise. 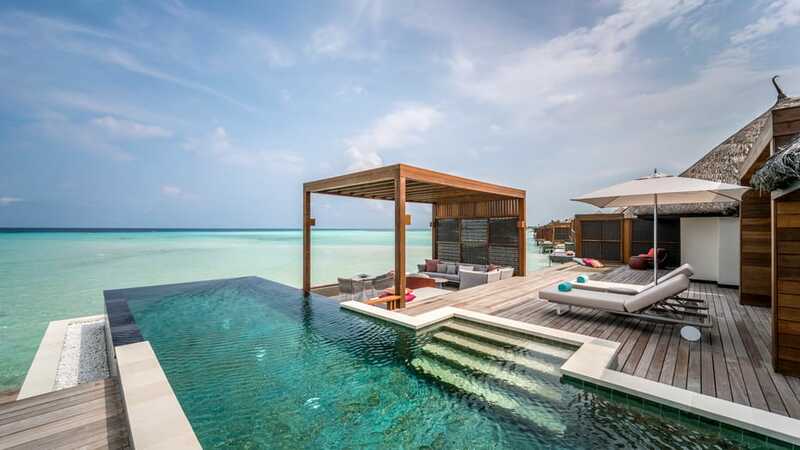 This ultimate elegant overwater living experience. 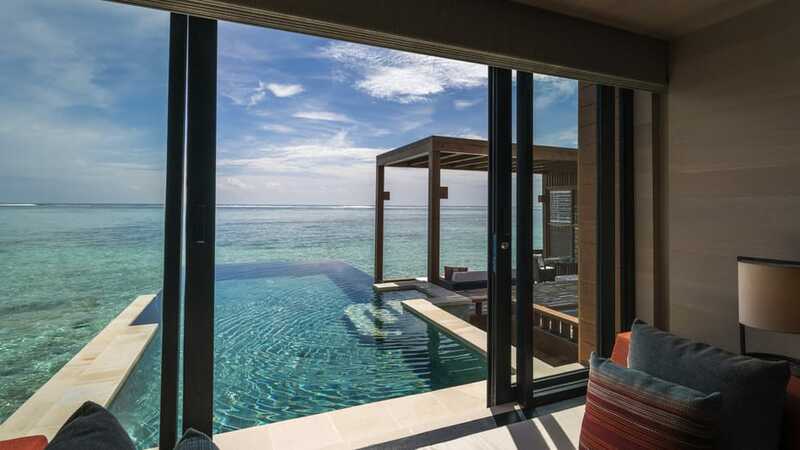 This lavish three-bedroom water suite is the perfect place to enjoy paradise. 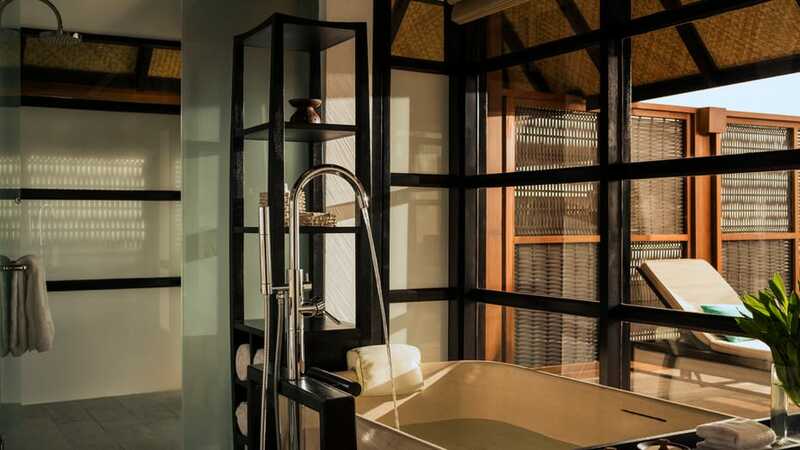 This suite features three bedrooms, three full bathrooms, a guest powder room with shower, an outdoor shower and your own private infinity pool. The suite has an occupancy of six adults and two children. 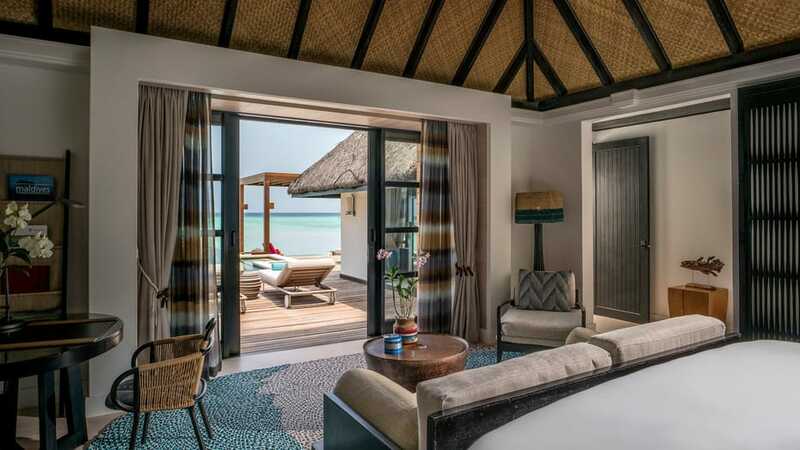 The suite has ocean, lagoon and sunset views. 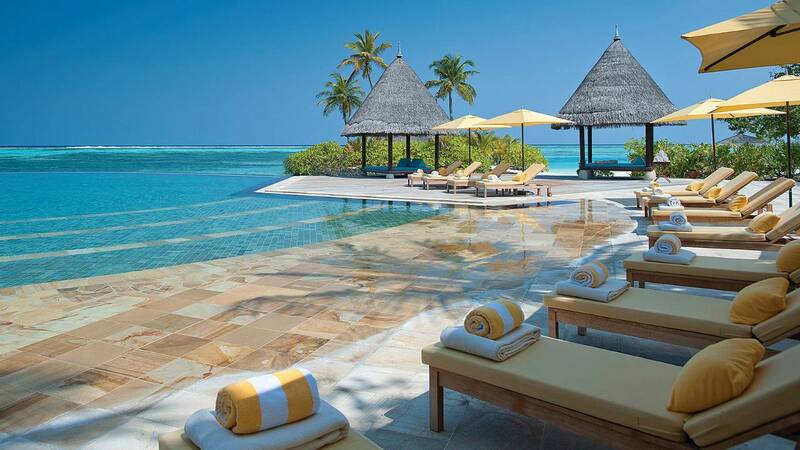 A perfect secluded paradise for a gorgeous beachfront living. 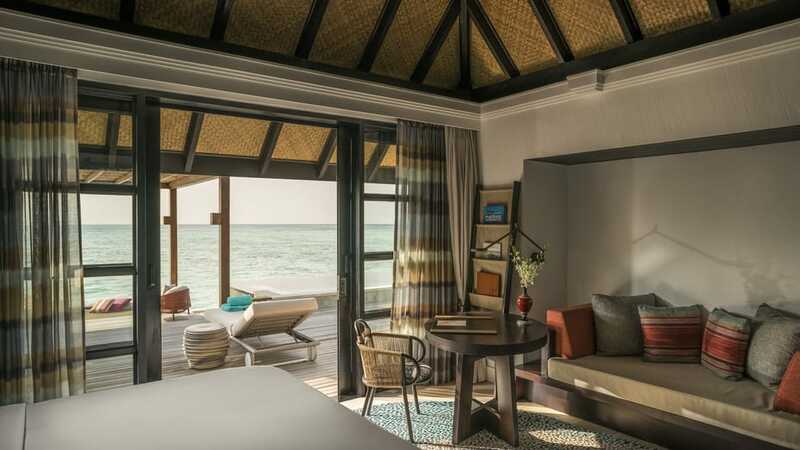 The beach villa has glorious space and privacy. 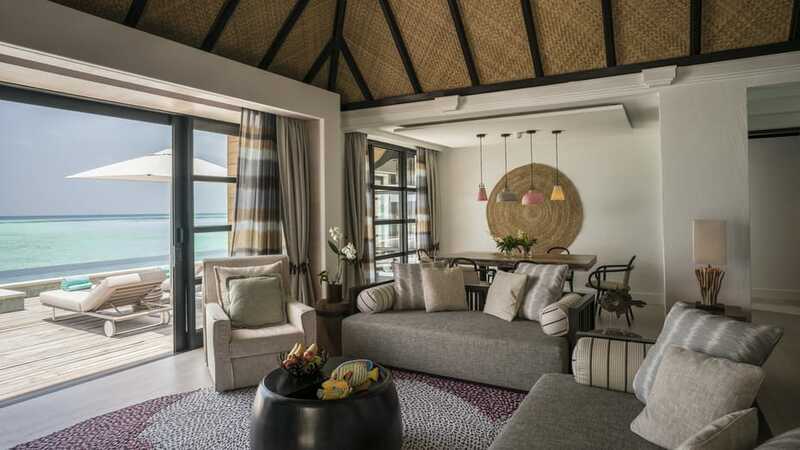 With elegant cosy decor throughout, this villa can house four adults and two children. 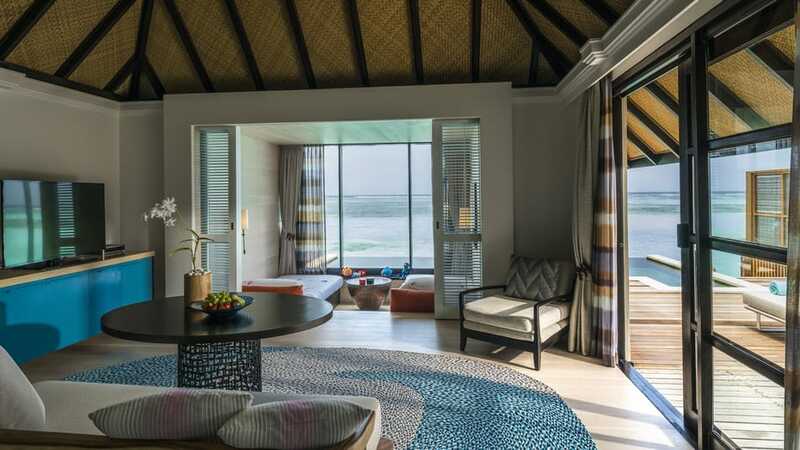 The Sunset Water Suites provides spacious open-concept accommodation for families and groups, with an extended deck and glittering private pool creating the perfect place to watch the Maldivian sunset. 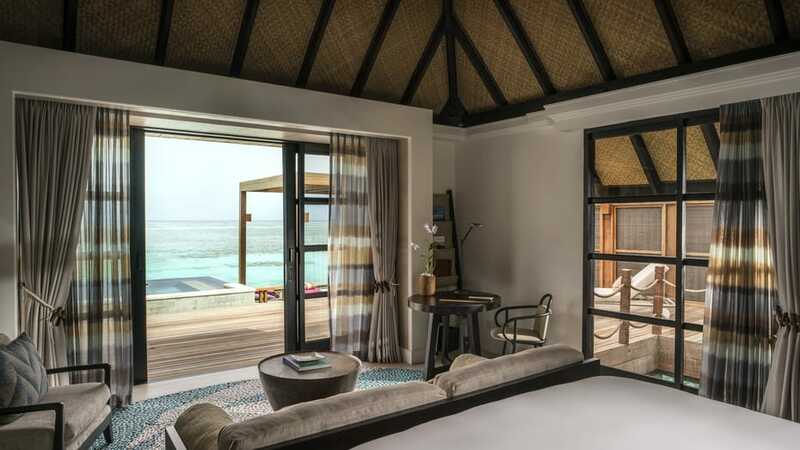 The Sunrise Water Suites provides spacious open-concept accommodation for families and groups, with an extended deck and glittering private pool creating the perfect place to watch the Maldivian sunrise over the ocean. Embrace an evolution in over-water living in the lavish Sunrise Three-Bedroom Water Suite. 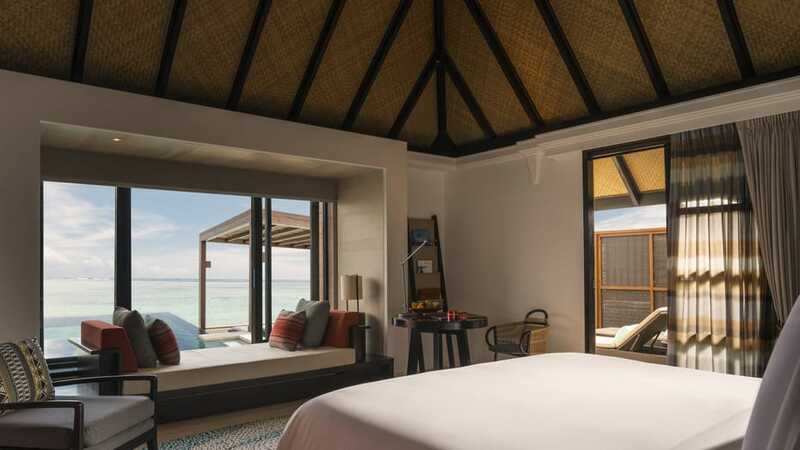 This suite the ultimate overwater ocean accommodation. The attention to detail makes staying here truly special. 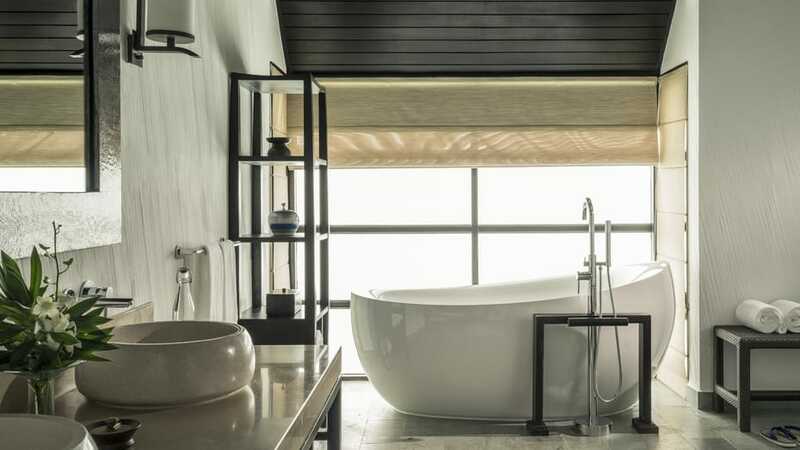 The suite features three bedrooms, three full bathrooms, a guest powder room, an outdoor shower, and a private infinity pool. The suite can house six adults and two children. 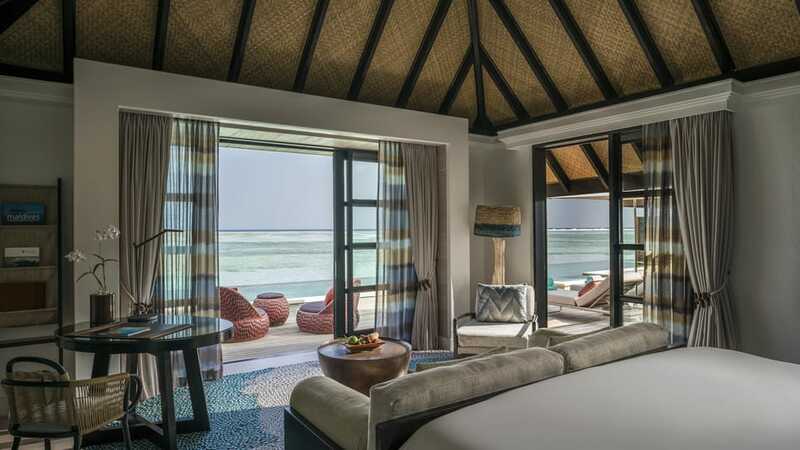 An abundance of first class facilities awaits at Four Seasons Kuda Huraa. How about combing lazy days at the seductively white beach with a visit to the beauty salon, the gym or the tranquil on-site library? 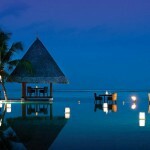 This resort also hosts wedding ceremonies, making your Maldives holiday one to hold in your heart forever. Families with young children are treated to a popular kids club and a babysitting service, but there are plenty of other things to do together at the resort. 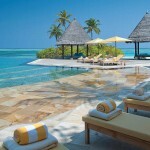 Table tennis, darts, water sports and snorkeling surrounded by colourful tropical fish suits all the family. 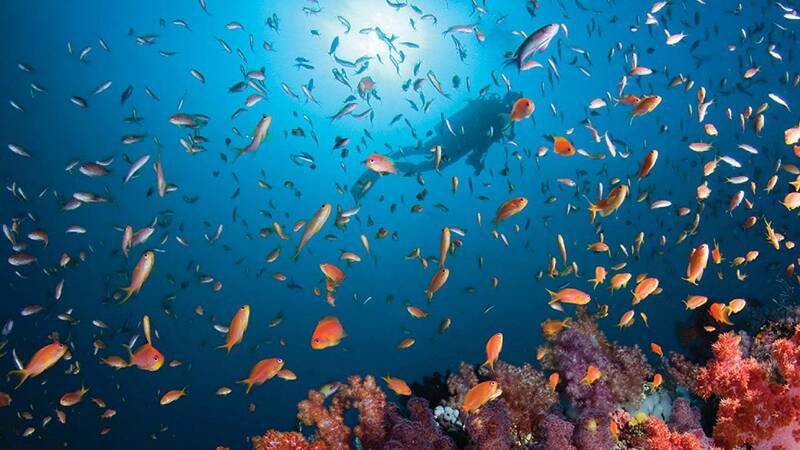 Visit the Marine Discovery Centre to learn about the fantastic marine life of the Maldives in a fun way. 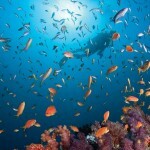 When you are ready to face oriental sweetlips and manta rays, do sign up for one of the amazing scuba diving classes. 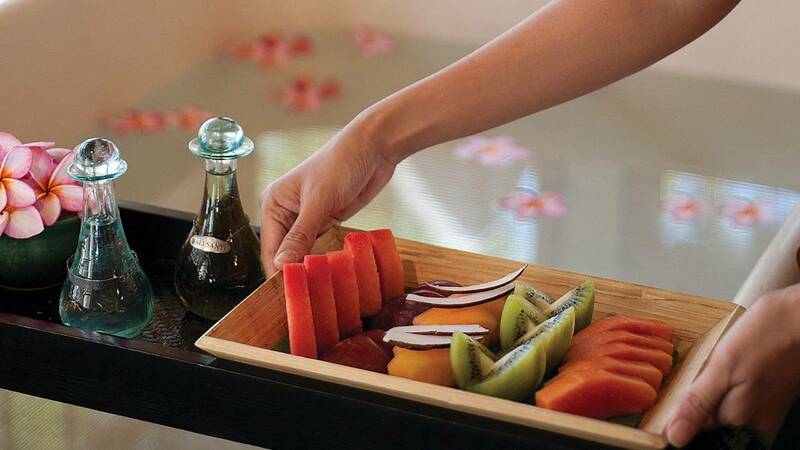 The Island Spa goes that extra mile to ensure your wellbeing. 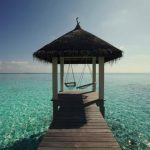 Located on its own island in a truly tranquil and peaceful tropical environment, here you will be able to switch off completely and forget all about your everyday stresses – whilst treating yourself to spa treatments originating in ancient Asia. 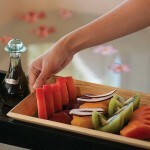 Let the qualified spa therapists work wonders with tired muscles and gloomy skin. The ‘Night Spa’ experience is the most unique of them all and allows for complete relaxation in torch-lit surroundings. 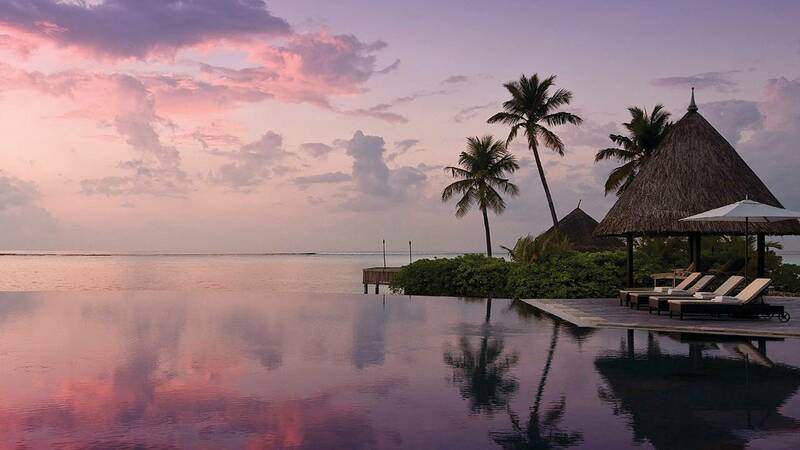 Trying new flavours in breathtaking tropical surroundings is the ultimate recipe for a magic evening in the Maldives… Luckily, Four Seasons Kuda Huraa is home to numerous restaurants and bars with inspiring menus. It’s also possible to order ‘In Bungalow Dining’ to enjoy private breakfasts or dinners in the comfort of your own accommodation. 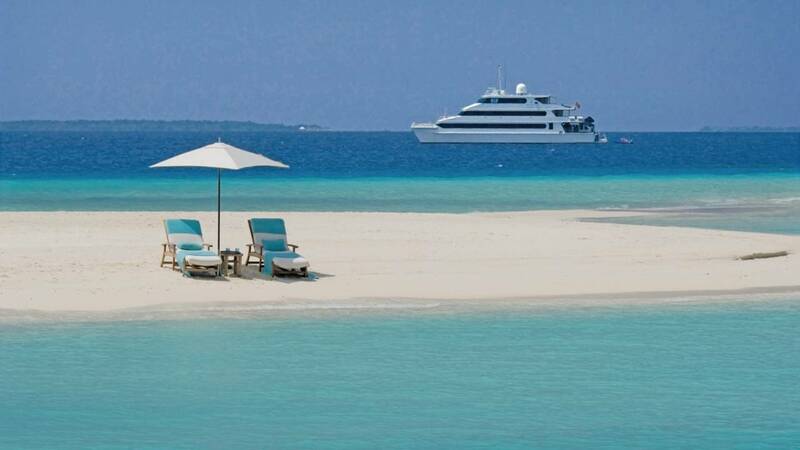 Baraabaru on the beautiful west side of the island brings a piece of India to the Maldives. 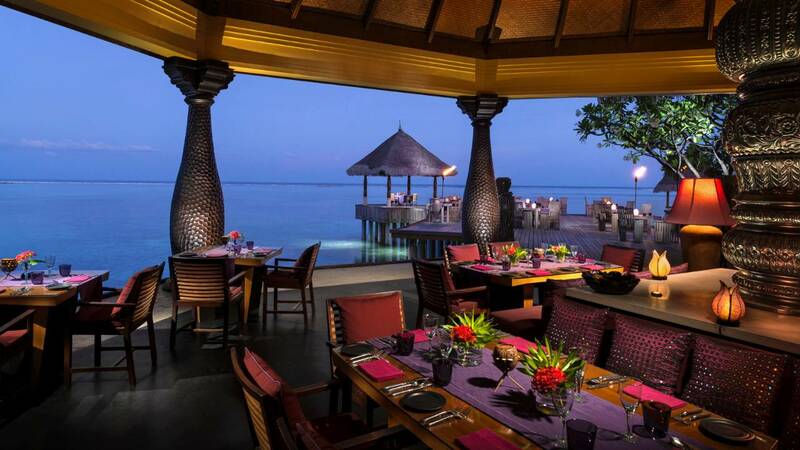 This elegant restaurant, hovering above the stunning lagoon, has a tandoori bar and tantalizing Indian cuisine for you to enjoy. 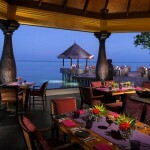 The extensive wine list complements the exotic flavours perfectly. 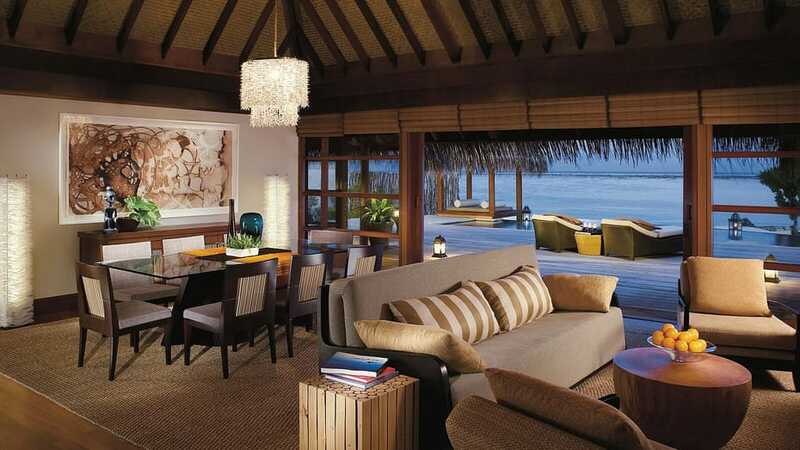 Reef Club features a contemporary chic dining area where Italian dishes and freshly caught seafood is on the menu. Café Huraa is a delightful café on the west part of the island, right next to the lagoon. Feel the cool sea breeze against your skin while you enjoy your expansive breakfast buffet, or a mouthwatering curry later in the evening. 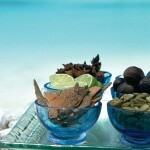 All tastes and ages are catered for at Cafée Huraa, making it a family’s paradise. 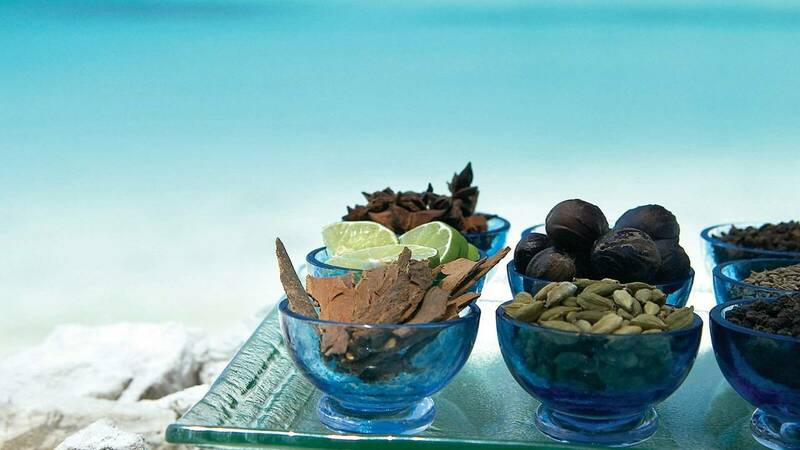 Kandu Grill is your chance to dine proper island style! You will be treated to meat and seafood grilled to perfection. The Poolside Bar and the Sunset Lounge both have unique cocktail menus and snacks available. 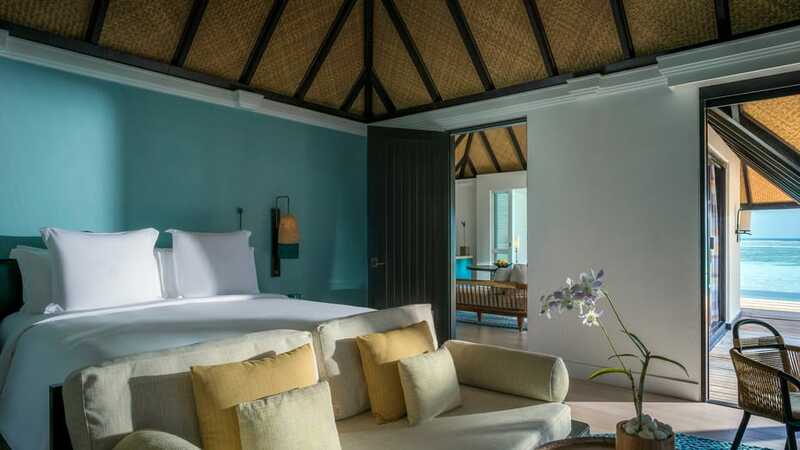 Simply Maldives Holidays offer a Bed and Breakfast option and a Half Board Package for guests staying at Four Seasons Kuda Huraa.